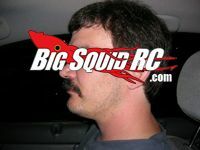 THE Cub Report, Version 01.24.2010 « Big Squid RC – RC Car and Truck News, Reviews, Videos, and More! For those of you that might not know, our Editor In Chief around this joint is Brian. Well, Brian is having a sort of “bromance” now days with Travis Pastrana and the Nitro Circus crew. Sorry to inform you Brian, but Travis broke his collarbone today while riding in Florida. Normally a broken collarbone is not a “huge” deal, but in this case, not only does Travis have a big rally race coming up this weekend, but the collarbone he broke was already plated. He’s scheduled for surgery on Monday, hopefully he recovers quickly and fully. Goodness knows he’s had more than his fair share of bumps and bruises. Rockstar/Canidae/Suzuki (and Losi!) Supercross Lites rider Ryan Morias suffered a scary moment Saturday night racing in Anaheim. Ryan was landed on by another rider and ended up flying off his RM-Z250 and landing hard on his back. The crash was very serious, but luckily Ryan walked away with just some very sore insides. Hopefully we get to see him back on the track very soon. Click HERE to see the burly crash. So… my rc convo of the week was with an old rc racing buddy of mine over the phone. The press release had just come out about Traxxas putting some marketing cash into the Monster Energy/Pro Circuit/Kawasaki team, and well, all I could talk about was how that was yet another step towards rc hitting the mainstream. Can you imagine a world where you can buy Associated trucks in Wally World? Can you imagine your LHS actually making a profit, then expanding in floorspace and also stocking a lot more inventory? Can you imagine a world where only a hundred racers show up on a slow weekend for a local club race, instead of the normal 20-50 to we get now days? Can the mags imagine the manufactures making record profits and then having record sized marketing budgets? Can you, the typical basher imagine driving down an average street and seeing several hobby grade trucks running around in yards and empty lots? I always knew it was possible that hobby grade rc’s “could” be mainstream, I just never thought I’d see it in my lifetime. LOL. Right now here in good ole’ 2010, we are perhaps closer than we’ve ever been, and it’s hard for that to sink in to me. Yes, it will take some time for all the current marketing to kick in. And yes, we’ll have to work our way up to marketing in even more mainstream circles. And yes, it will take a lot of work (and luck) to get Associated/Losi/Traxxas trucks sitting on Wally World shelves. But, for the first time in my life, I can actually envision a world where hobby grade rc’s aren’t some obscure sub-culture, but actually a well known (and respected) hobby that mainstream America embraces. There are a lot of LHSs, manufactures and tracks that are having a rough time keeping afloat right now. But the future is bright, perhaps brighter than it’s ever been. Huge props to Traxxas, Associated, and Losi for advertising outside our core industry to tap into the mainstream. That’s it for this week, as always, support your LHS’s, local tracks, and if you get a chance, give a thanks for those in the industry striving to pull us out of obscurity.